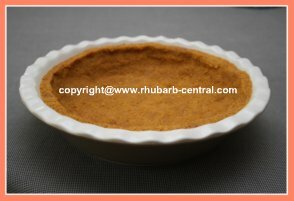 Looking for the Best Graham Crumb Crust recipe to make in a regular pie dish, a deep-dish pie dish, an 8" or 9" square dish, or a 9" x 13" oblong baking dish? Making a homemade crust with graham cracker crumbs for pies, bars or squares is a very simple process. I always resort back to this recipe (below) as many other crumb curst recipes make crusts that are much too hard to even poke through with a fork, or much too crumbly that the crust does not even hold together with the filling on top. Although it is possible to purchase a ready-made crumb crust for pies, a homemade crust tastes much better, and is usually thicker. I find that the purchased crumb crusts for pie are often much too thin, and therefore break apart when they are filled, and cut into pieces to be served. This graham crumb crust recipe (below) fits into an 8" x 8" or a 9" x 9" square baking dish, or a regular size pie dish. - When I make a crumb crust in a deep-dish pie dish, I make 1 1/2 times this recipe, otherwise the crumb crust will be too thin. - When I make a crumb crust in a 9" x 13" baking dish I double this recipe. If you have graham crackers on hand, not "crumbs", you will need to crush the crackers first. To crush the crackers into crumbs place the crackers in a plastic bag, and then roll a rolling pin over them, or simply use a blender or food processor to crush to crackers. It is important than the butter is warmed only until it is just melted, not over-heated or bubbling. Also, when pressing the crumb mixture into the baking dish, do not pat it down too hard, just enough to form the crumbs into the shape of the baking dish. This will help to avoid the graham crumb crust from getting too hard. In my experience "name" brand graham cracker crumbs, (or crackers), and non "name" brands of crumbs or crackers work equally well for making crust. Combine the graham cracker crumbs and the sugar in a medium size bowl, and mix with a fork. Add the melted butter and gently mix with a fork, until the melted butter or margarine is combined with the crumbs and the sugar. Gently press the crumb mixture into the bottom and sides of a pie dish or the bottom only of a square or oblong baking dish. Bake the crumb crust at 375° F for about 8 - 10 minutes, then cool. Be careful not to overbake the crust, or else it will be too hard to cut. Note - if you are making a 1 1/2 times this recipe for a deep dish pie dish, the crumb crust will need to bake for about 12 - 14 minutes. If making a double batch of the crumb crust for an 9" x 13", oblong baking dish, adjust the baking time accordingly (about 10 - 12 min). Allow crust to cool before adding pie filling, unless the recipe directions indicate differently. You can make this crumb crust recipe ahead of time, and store it on the counter (at room temperature) for a few days. 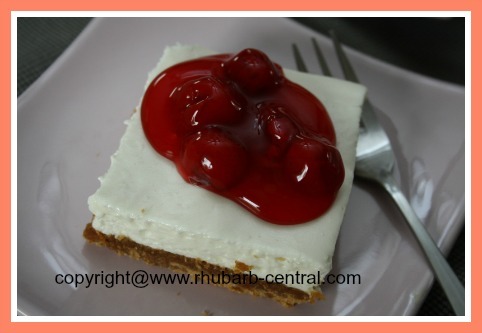 The pictures above are of a Cherry Cheesecake I made using a double crust recipe of the one on this page. 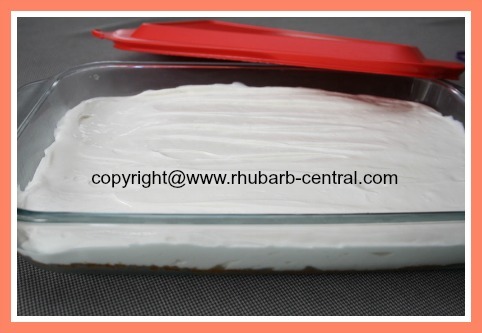 For the DELICIOUS, Easy, No-Bake, "Light" Cheesecake Recipe pictured above, go here.